There are few things worse when you are in a hurry than waiting for a slow computer to start. Even after Windows loads, more processes you don’t need to use that are set to run on startup can slow your computer to a crawl. 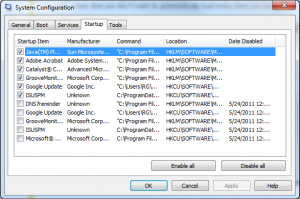 One way to fix your computer’s boot time is to use theMicrosoft Configuration tool, or msconfig.exe. This tool can influence many important facets of your computer, so be sure to follow the steps below. Type msconfig in the Search bar and hit Enter. 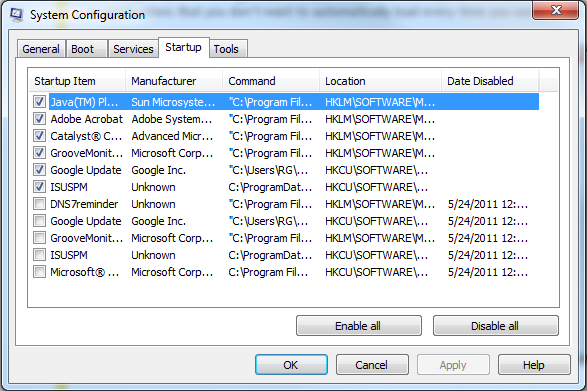 In the newly opened System Configuration window, click on the Startup tab. From this tab, you can remove the checks from any unnecessary applications. It’s typically a good idea to let antivirus and firewall software to begin on startup, but most other programs are unnecessary. Once you have finished, click OK. When this System Configuration window pops up, you can either choose to click Exit without restart to continue working on your computer or click Restart to restart your computer immediately see what effect your changes have made to the boot time. If you have other tips for speeding up computers, post your ideas in the comments.